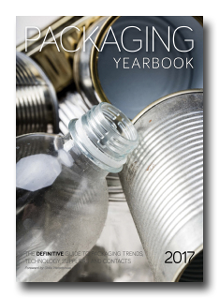 The Packaging Yearbook is the industry ‘bible’ for packaging specifiers and decision makers throughout the food & drink and FMCG manufacturing sectors. It provides invaluable information and supplier contact details and is an invaluable tool for companies aiming to develop sales in the food, drink, FMCG and pharmaceutical packaging sectors. Packaging Yearbook is aimed at the heads of packaging, senior executives and decision makers throughout Britain’s food & drink and non-food FMCG manufacturing sectors. With a collective annual turnover in excess of over £70 billion, our influential readership is actively specifying new technology and equipment. The Packaging Society is a long-term supporter and our forward is written by its chairman.